Gabriella Harnish of Normal, left, and her real estate agent, Monica Bullington. Harnish got an accepted offer on her home in four days. You know what’s not good for a real estate market? A ton of uncertainty at the market’s biggest employer. That was the story during the first six months of 2018, as rumors swirled about State Farm and its plans to shed or relocate hundreds of Bloomington-Normal employees. Uncertainty surrounding State Farm was one of the biggest pressures on the Twin City housing market during the first half of 2018. Sales are down 10 percent through May—most recent data available—and average prices are down 2 percent too, according to the Bloomington-Normal Association of Realtors. While cheaper homes are still selling fast to first-time homebuyers, those in the industry say the market is soft in the higher price ranges—above $250,000. Prices are dropping on those more expensive homes. New construction has largely dried up. "The upper end definitely has taken a hit. That's because we don't have the jobs in Bloomington-Normal to support that upper end of the market." “The upper end definitely has taken a hit. That’s because we don’t have the jobs in Bloomington-Normal to support that upper end of the market. The prices—I like to say they’ve corrected,” he said. It was a different story last year. The average price of an existing home sold in the Bloomington-Normal market and surrounding areas rose 4.4 percent, to $168,861 in 2017. This year, average prices are down slightly (around $163,590). 2017’s rising prices were unusual and were not likely to continue in 2018, said Mike Doherty, an Illinois Farm Bureau economist who’s studied the Bloomington-Normal economy. “I’m skeptical because I’m seeing the decline in the labor force numbers. We’ve got fewer people in the labor force, and our employment numbers are not bouncing back to higher levels, so it’s kind of hard to imagine where would future gains in those housing prices come from,” Doherty said. That said, Doherty doubted that State Farm’s job cuts would have a significant negative impact on the overall housing market. “I would think it’ll soften it just a bit, but the net change of jobs is in the hundreds, so a pretty small percentage of our labor force. We’ve got 90,000 people working here in Bloomington-Normal,” he said. State Farm uncertainty has lessened in recent weeks, Armstrong said, noting a period in late June when a “lot of people found out if their jobs were safe or not.” During a three-week stretch from June 20 to July 11, Armstrong said 199 homes were sold—a “significant increase” from the 162 during that period in 2017. And the median price of those sales was $230,000, way higher than the market overall, he said. “It’s a different type of buyer. It’s the buyer who says, ‘I’m safe now,’” Armstrong said. There are also rumblings that State Farm’s job cuts won’t be as deep as initially expected, Armstrong said. Indeed, State Farm confirmed in late June that its overall IT job cuts companywide would be fewer than the 500 figure that was announced in March. Location-specific numbers are not available. On the lower end of the market, things are moving fast. Gabriella Harnish of Normal and husband put their two-bedroom ranch home on the market this summer, looking to get something bigger to accommodate their growing family. They thought it would take four or five months to sell. They sold it in four days, with multiple offers. “It was nice having it sell quickly, because that meant we knew what we could be looking for (to buy),” she said. One reason for quick sales is low inventory, meaning there aren’t many homes on the market in certain price ranges. There are around 765 homes on the market right now, up about 12 percent from summer 2017 when inventory was unusually low, Armstrong said. Harnish and her husband were finally able to find a home they both liked. They’ll move in next month. “We were looking for something that was move-in ready but within our price range, so that was a little difficult because some of those homes in the lower price range need a lot of work,” Harnish said. 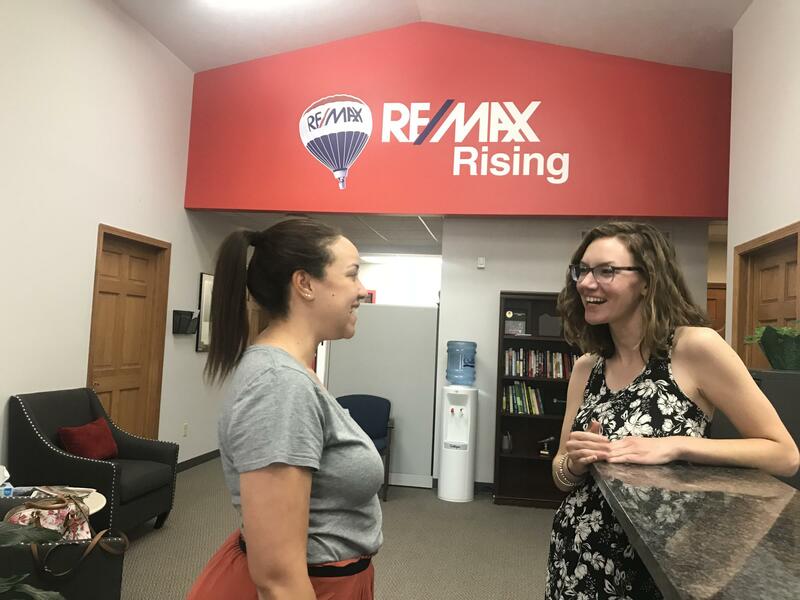 And you’re in luck if you’re selling in the $150,000 to $180,000 range—in the sellers’ market—and looking to move up and buy something over $300,000 where prices are falling, said Monica Bullington, an independent agent at Re/Max Rising in Bloomington, who handled Harnish’s sale and purchase. “State Farmers perhaps might be downsizing from those large houses into more modest family-sized homes, so you just have to know what you’re dealing with so you can make the right decision,” she said. New construction continues to struggle. As recently as 2010, McLean County saw 225 newly built homes sold, according to Armstrong. Last year it was just 137, and only 42 sold in the first five months of 2018, he said. One reason, he said, is because of those higher-priced existing homes becoming more affordable. So why can’t homebuilders just build cheaper houses, to fill up inventory in those lower price ranges? Land is expensive, Armstrong said, particularly in farm-fertile McLean County. That leaves cutting corners on the construction side—skipping a fireplace, cheaper interior finishes—to lower the overall cost. You can’t build a home for anything close to $125,000, Thompson said. A closer look at housing sales in McLean County, according to data provided by BNAR President John Armstrong. These data are different than the monthly BNAR sales data reported each month, which includes sales in both McLean County and nearby counties. Data for 2018 is through May only. June data is not yet available. Home sales took a sharp dip in December, leading to an slower 2017 overall for the local real estate market, the Bloomington-Normal Association of Realtors reported Tuesday. 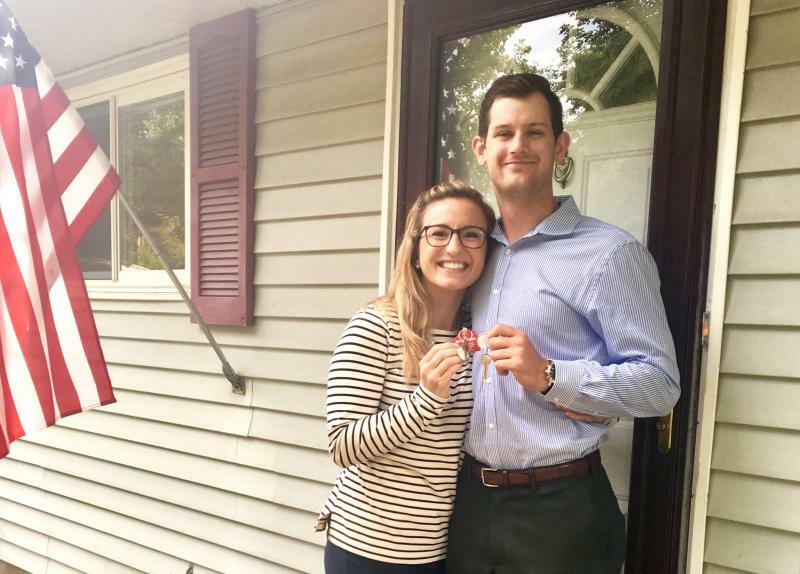 Like many couples who decide to buy their first house, Shelby Dietz and her boyfriend, Drew Ison, were sick of throwing away their money on rent. Now in their mid-20s, secure in their jobs at ISU, and ready to build some equity in a starter home, Dietz and Ison were eager to buy in Bloomington-Normal. But they ran into an unexpected problem: There weren’t a lot of options.